Interested in REO property or a foreclosure in Lake Wales? Making an offer on a bank-owned property is not something to be taken lightly. For more information, just contact me through my site or e-mail me. 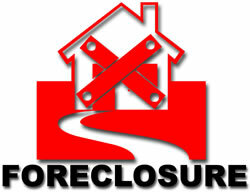 I'm happy to answer questions you have regarding real estate foreclosures. "REO" is an abbreviation for Real Estate Owned. These are houses which have completed the foreclosure process that the bank or mortgage company currently possesses. This is unlike a property up for foreclosure auction. If you buy a property during a foreclosure sale, you must pay at least the loan balance plus any interest and other fees added during the foreclosure process. The buyer must also be ready to pay with cash in hand. And on top of all that, you'll receive the property completely as is. That might comprise of existing liens and even current tenants that may require expulsion. A bank-owned property, conversely, is a more tidy and attractive option. The REO property was unable to find a buyer during foreclosure auction. Now the lender owns it. The lender will handle the elimination of tax liens, evict occupants if needed and generally arrange for the issuance of a title insurance policy to the buyer at closing. You should be aware that REOs may be exempt from standard disclosure requirements. For instance, in California, banks do not have to give a Transfer Disclosure Statement, a document that usually requires sellers to disclose any defects they are aware of. By hiring Heidi Gravel, you can rest assured knowing all parties are fulfilling Florida state disclosure requirements. Is REO property in Lake Wales a bargain? It is sometimes presumed that any REO must be a good buy and a possibility for guaranteed profit. This often isn't true. 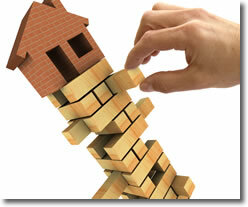 You have to be cautious about buying a repossession if your intent is to make a profit. Even though the bank is typically anxious to sell it quickly, they are also looking to minimize any losses. When contemplating what to pay for REO property, you need to look closely at comparable sales in the neighborhood and be sure to take into account the time and cost of any repairs or remodeling needed to prepare the house for resale. There are bargains with potential to make money, and many people do very well flipping foreclosures. But, there are also many REOs that are not good buys and not likely to turn a profit. Prior to making your offer, you'll want to contact either the listing agent or REO department at the bank and discover as much as you can about their knowledge regarding the condition of the property and what their process is for accepting offers. Since banks most commonly sell REO properties "as is", you may want to include an inspection contingency in your offer that gives you time to check for unseen damage and retract the offer if you find it. As with making any offer on real estate, your offer may be more attractive if you can include documentation of your ability to pay, such as a pre-approval letter from a lender. Once you've submitted your offer, it's customary for the bank to counter offer. From there it will be up to you to decide whether to accept their counter, or offer a counter to the counter offer. Be aware, you'll be dealing with a process that most likely involves a group of people at the bank, and they don't work evenings or weekends. It's quite common for the process of offers and counter offers to take days or even weeks.